When we returned to Belize from our Cuba trip, we went straight back into work. We started with a tandem Christmas charter for two fantastic families, the Hogans and Ivies. Christmas charters can be stressful as there is a lot of pressure. We were especially tense for this one because one of the children planned to propose to his girlfriend on one of the private islands and we had to make sure that it played out perfectly. It turned out that we didnt need to stress at all. They all arrived wearing “Father Christmas” hats and T-shirts emblazoned with “BELIZE NAVIDAD” – if that isnt a sign of how fun people are going to be, I dont know what is. These two families were so kind and loving and such wonderful down to earth people that we immediately felt part of the Hogan-Ivie family. We started off the charter on Rufus’ 31st birthday and everyone sang to him while we celebrated with a few cocktails. Every day was action packed and we had so much fun (and very little sleep). 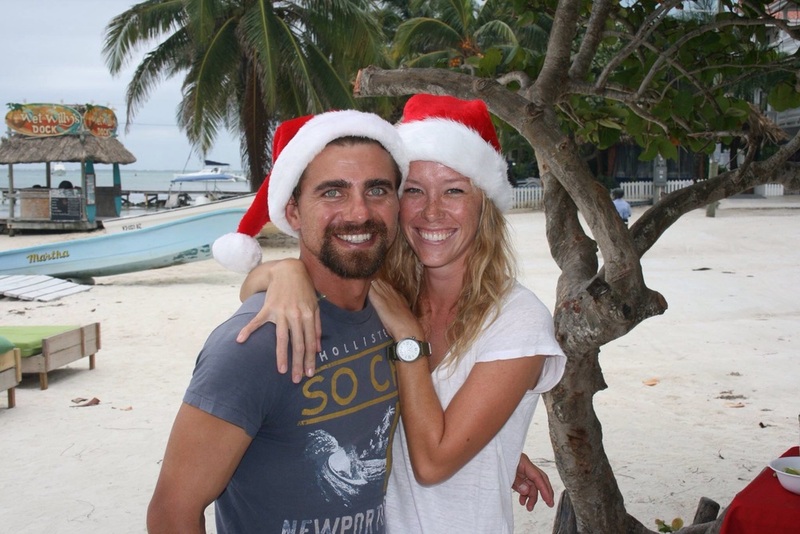 The proposal went off perfectly and Christmas day was celebrated on the beach in San Pedro, Ambergris Caye. We braai’d (barbecued) fish and burgers, sang along to a guitar played by one of the expat locals, laughed and talked late into the night. These are the kinds of charters that make “working” an absolute joy for us. And being able to spend such a special time of year with good people, when you cant be close to family, really makes all the difference.